Andrew Carnegie rapidly learned the basic business arts and followed paths open to him as he ultimately dominated the steel industry in the United States. He was a master of optimism, communication, and delegation with a very short leash. He built his business on the backs of his employees under the theory that he needed the maximum amount of money so he could give it away for public good. This meant he sacrificed any reasonable comfort for his workers so that he always had the most cash flowing into his account. When he sold his business, he became in a stroke of a pen the richest man in the world at that time. Carnegie immediately began giving away what is now the equivalent of billions of dollars in civic gifts across America and Europe. Since his money compounded so quickly, he was never able to achieve his goal of giving everything away prior to his death. In a personal interest almost identical to that of Joesph Kennedy, Andrew Carnegie championed world peace using his considerable financial power and influence in an attempt to establish a united nations type of approach to world peace. He failed as World War I began. Carnegie was devastated that he was not able to get his way as he had in every other aspect of his life. When various polls are taken asking about who was the greatest President of the United States, they should all start after George Washington. He was the fellow who invented the Presidency as we know it today. Nearly everything we have regarding the Executive branch of government had some form of origination with George Washington. Ron Chernow does an outstanding job of guiding the reader through the documented life of America’s truly greatest President. George Washington had enormous gifts of political sensitivity, honor, and determination which prompted him to lead the American people into independence and national preeminence. 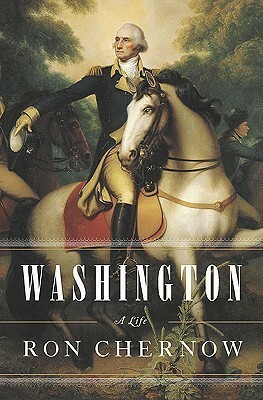 Washington was the rock star of his era rising beyond politics to connect directly with the people. The timeless tale of the successful businessman and his extraordinary family dynasty fighting against all odds to be insiders in American business and politics. This story explains why it is so essential to amass great wealth honestly and early in life to provide independent leverage to accomplish any desired philanthropy or service. Massive story of 5 successive power bankers who developed and controlled world banking and politics from the early 1800’s to modern times. They did it by providing the highest quality and most devoted banking experience any client could imagine. The business dealings of the Morgans touched all major companies and countries for over 150 years. This study of Cornelius Vanderbilt is an important link between the invention of banking, stock markets, and steam power in the late 1700’s through their evolution into the 1900’s. This biography is especially significant as one man’s pure rags to massive riches story. I definitely recommend this exquisitely crafted tale of one of the most intriguing individuals at the beginning of the United States. The study of Alexander Hamilton is essential because of his extraordinary intelligence, boundless energy, his many governmental inventions, and overall good intentions. There would not be a United States without his diligent work.